Living on a small island makes you very conscious of the effects that we have on the environment through our daily activities and our diving activities but also how a few people and organisations have started to work individually or collaboratively to make Koh Tao a better, more sustainable, environmentally aware and friendly place to live, visit and enjoy. 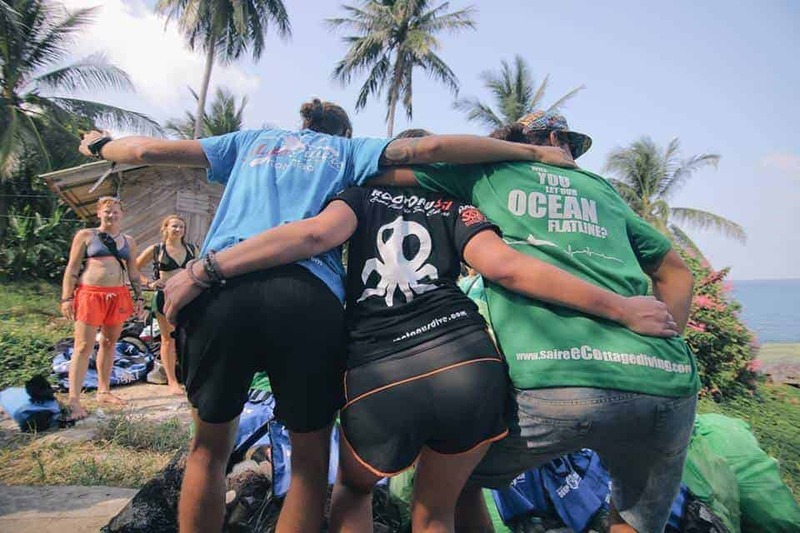 In January 2016 Mojo Divers joined forces with 2 other dive schools to work on an environmental campaign and work together to make Koh Tao a better place to live and preserving the resources that we have so future generations will enjoy what we have today. They had started a monthly Eco Day where dive centre volunteers and customers attend environmental lectures in the morning and then split into teams to clean a designated beach and dive site. A couple of months afterwards two more dive schools joined the group to bring their volunteers and customers to the day to help spread awareness and contribute to improve our island. It is not all hard work as at the end of the Eco Day we meet back at Sairee for a beer and a barbecue to mix and talked with others from the different dive schools. For more information you can check out our blogs and Facebook pages. From this collaboration The Get Involved project was born incorporating our Eco Days and introducing drinking bottles with free filling stations to reduce the amount of plastic bottles that are used. 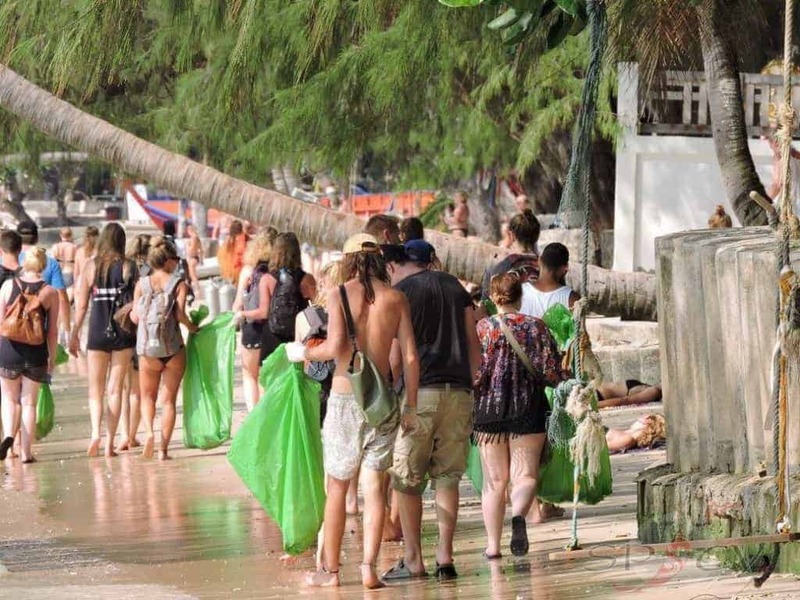 This is not just on Koh Tao but also incorporating Trash Hero which gives access to 1,000s of free water filling stations. Not satisfied with that we have started a movement to reduce the amount of plastic straws that are given out in bars and restaurants with the aim of having these banned from the island. Some restaurants and bars have started to replace the plastic straws with either bamboo ones or reusable metal ones and some bars have stopped automatically giving them with drinks. These are topics that we discuss in the lectures on Eco Days as we noticed just how much of the rubbish we collected were plastic bottles and straws. We are not the only ones who are working to improve the environmental conditions and awareness on Koh Tao, many of the dive shops organise their own land and dive site clean ups and have recycling and waste reduction policies, all are doing the part to protect the environment. 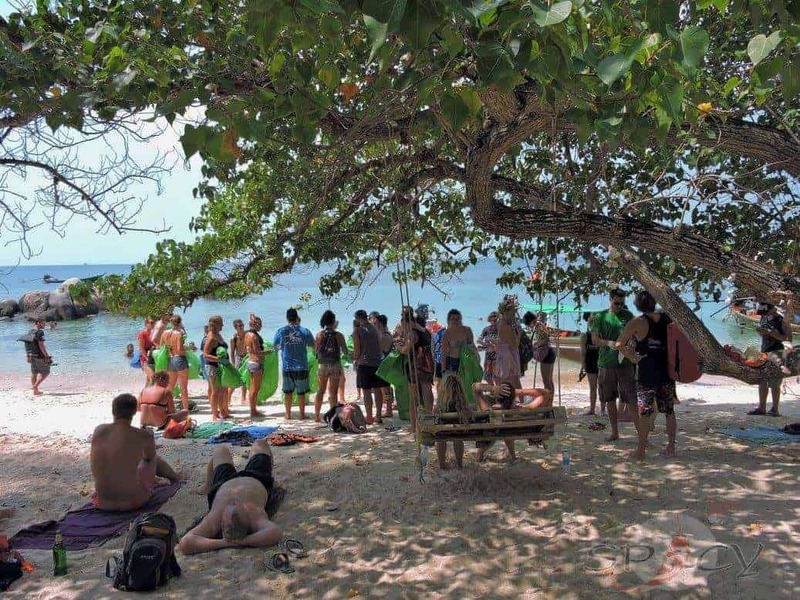 Every year the island hosts a two day Koh Tao Festival that includes highlighting the environmental issues on the island and the progress and programmes they are making to improve the conditions, as well as enjoying a good party. For instance they have urged restaurants and bars not to use polystyrene containers for take away foods but use bio degradable containers instead and asked the supply boats not to transport them to island. This is just one of many examples that people and organisations do on the island to make it a better place. The Department of Marine and Coastal Resources is looking to introduce measures to reduce the impact of dive tourism on the marine environment and are discussing options with the local government, local dive centres and business owners to bring local solutions to Koh Tao. Read more about Mojo Divers diving school, about Koh Tao or the different Activities Koh Tao.